I've been wanting to digitize it for YEARS and I finally did it! It's great to review any song - or to even help motivate good singing during your program practices! Download all the pieces to my sing-o-meter HERE. Print on white card stock, cut out all the pieces and adhere everything (except the arrow) to a poster board (cut it lengthwise - making it 12x22 inches). Laminate the poster board (optional). Then laminate the arrow separately from the board. Using a brad, poke a hole through the arrow and through the poster board. To use in primary, simply have the kids sing and you be the judge on their quality of singing. Maybe for fun, have them sing sleepy or poorly for part of a sing, then have them move up to "super singing." 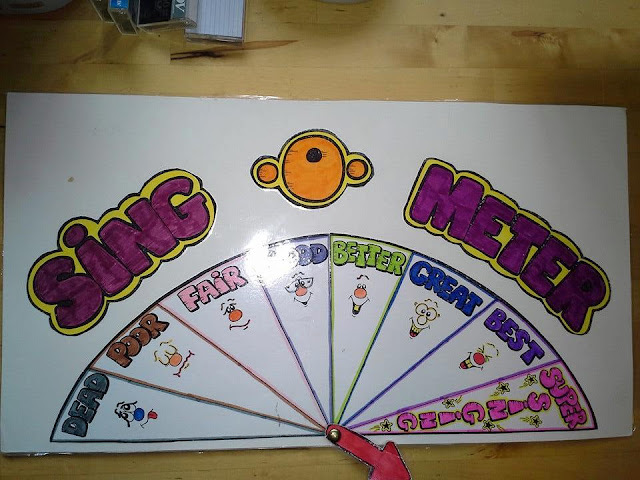 If you want more ideas on Sing-O-Meters, check out this fun post on FB HERE. Check out my list HERE with more review ideas. 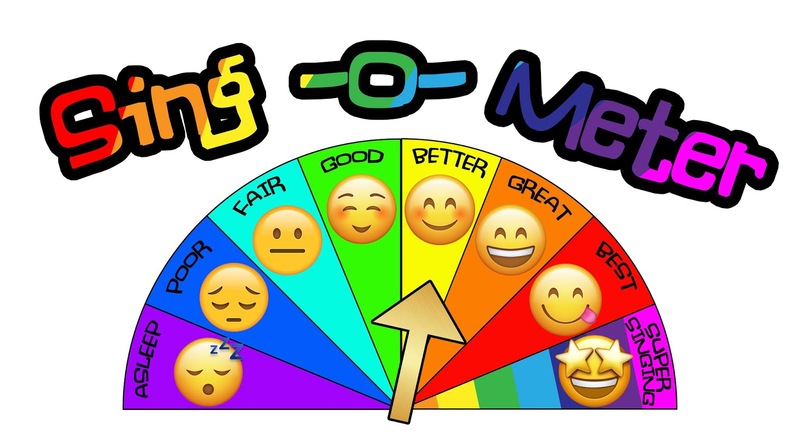 If you use the sing-o-meter in primary during a program practice, it's fun to pull out the giant balloon when practicing in the chapel. Find details HERE.